The first stop is at Sequoia NP. 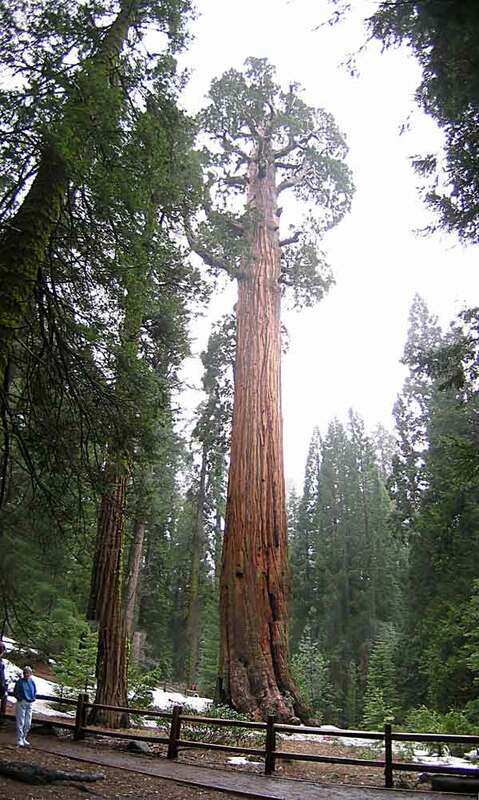 These trees are the inland redwoods known as Sequoias. 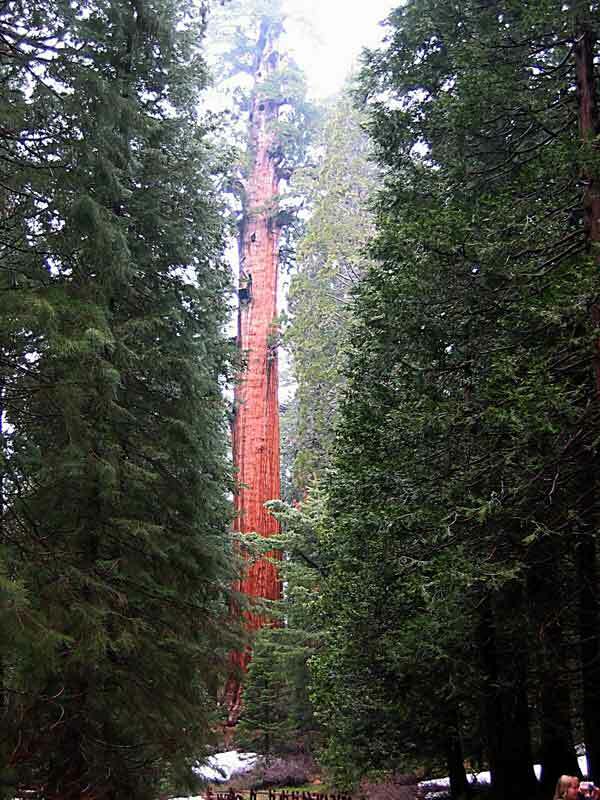 They are much more massive than the coastal redwoods but not as tall. These trees are HUGE. 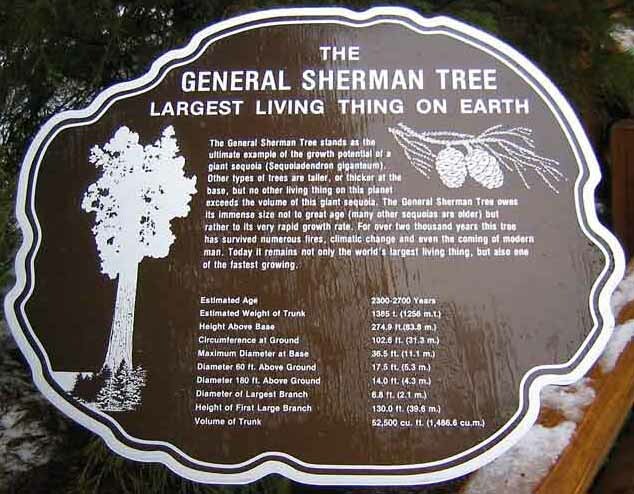 One, the General Sherman tree, is the largest known living thing on the Earth. 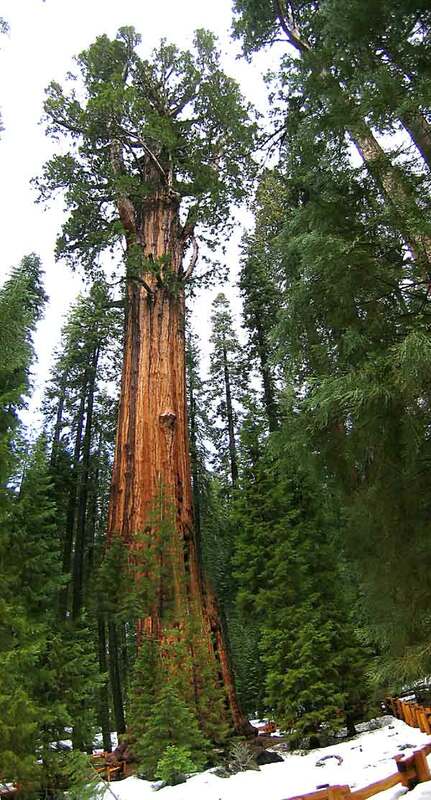 The sequoia grow only in the Sierras at an altitude between 6000 and 8000 feet. We were here during a rain storm and therefore the lighting was not really very good for pictures but the viewing was spectacular and cold. We stopped in Paradise to see some friends that we met on our way to Alaska. 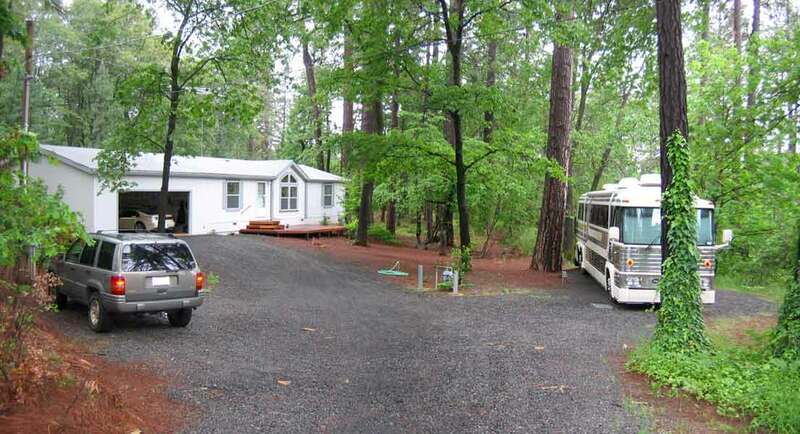 They are Kathy and Chuck and they converted an MC8 for use as a motorhome. It is a beautiful conversion that they used full timing for five years. When they had completed their list of destinations they found this lot in Paradise and have been here for a couple of years. They have complete hookups for their RVing friends when they visit as we did. Their "Bus" has its own pad and hookups, and is used to take trips whenever the desire and opportunity presents itself.